This long Thanksgiving weekend, check out these events to keep the holiday fun going all weekend long! Events include visits with Santa, The Nutcracker, holiday tree lighting ceremonies, holiday tea and so much more. Happening this weekend in and around Boulder. Join the Twenty Ninth Street Mall for a jolly good time for both adults and kids at the Jingle Bell Bash. The events happen at The Barrel with the arrival of Santa, cookie decorating, hot chocolate station, face painting, dance party, holiday show, Santa & selfie photo stations, plus much more! Time: Times vary, see full schedule here. Cost: $15 – $82, tickets here. Thanksgiving weekend, the curtain rises for America’s favorite ballet, brought to life by Boulder Ballet and the Boulder Philharmonic – The Nutcracker. Make your plans now for this thrilling and heartwarming spectacle, all performed to Tchaikovsky’s masterful score. Every year on the day after Thanksgiving, the community of Niwotofficially ushers in the holiday season with Enchanted Evening. The night will begin with the lighting of the community tree, welcoming Santa to town, presenting a Live Ice Sculpture demonstration in Cottonwood Square. Check out Ptarmigan String Quartet who will be performing Holiday music in the Grange with Santa from 6-8:30pm. Come back on Saturday for Niwot’s Holiday Parade. For full event info visit: http://niwot.com/events/enchanted-evening. Time: 11AM – 3PM – Schedule of events here. Check out The Flower Bin of Longmont’s Holiday Open House featuring live entertainment, holiday cookies, apple cider and visits with Santa! The Flower Bin will have all the essential holiday decorations on hand for sale including live Christmas trees, wreaths, garland, poinsettias and more. Cost: Entrance is free. Free pony ride with purchase of Christmas tree. Petting Zoo $3. Barrel train is $2. Carriage rides $15 per family. Duran’s Hobby Acres is hosting a holiday experience to remember, Christmas Extravaganza. Choose your Christmas tree and take part in these fun activities: living Nativity with camels, carriage rides with Santa. camel rides, petting zoo, barrel train, pony Rides, arts and crafts, camp fire pits, hot cider, caroling, and warm memories! Cost: Adult Tea – $31 & $36, Children’s Tea ages 4-12 – $20, Children 3 & under are free. For reservations of 8 or more please call 303-440-2880. Online reservations here. Kids and families can experience a longstanding tradition of Teddybear Tea at Hotel Boulderado, with a delicious selection of homemade scones, assorted sandwiches and a variety of desserts. All proceeds will be donated to Children’s Hospital. Tea service inside Hotel Boulderado is offered seasonally to guests set on the historic Mezzanine overlooking the hotel lobby. With beautiful views of the hotel’s famous renovated stained glass canopy ceiling, irresistible menus, and soft piano or choir music performances, tea service at Hotel Boulderado will quickly become an annual tradition for you and your loved ones. Cost: $15 – $40, Register here. It’s Leftover Turkey Trot time! Time to grab the kids, the friends, and the relatives that have invaded your home, make some memories and spread some smiles! This family-friendly activity is sure to get your Leftover Turkey legs moving and your faces smiling. There will be plenty of hot coffee, food and drinks so please plan to arrive early and stick around for a bit after the run, have some food, make new friends and say hello to those familiar faces we see each year. You must register by November 9th to be guaranteed a race t-shirt. Bring your youngster and friends to McGuckin Hardware to make their very own snow globe out of simple object founds in our store. One per child. Quantities limited; first come, first serve. Not able to join us? Just stop in to pick up our instruction card and supplies the next time you’re in! Santa returns to Niwot Saturday morning, Nov 25th, to join in on the Holiday Parade. The parade starts at 11:00 AM. Participants will march down 2nd Ave from Murray Street to Niwot Road. When the parade finishes Santa will be in the Grange until 1:00 PM to take the children’s Christmas gift wish list. The local business will be open with additional craft vendors in the Grange. Time: Times vary, see schedule here. Centennial State Ballet will host their 15th annual Sugar Plum Tea Party fundraiser during the Thanksgiving Holiday Weekend. The non-profit youth ballet organization celebrates 20 years of exceptional ballet performances this year with this well-known fundraising event. 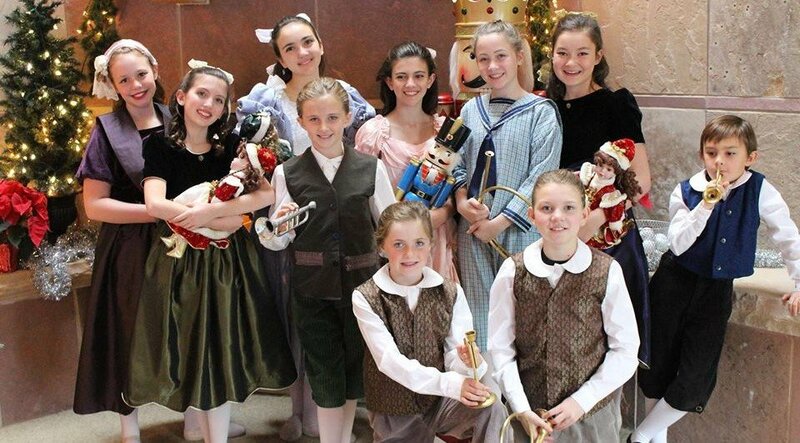 The ticket price includes a delightful afternoon with warm tea, sweet and savory edibles and harp accompaniment, a mini-Nutcracker performance and a souvenir photo taken with the Sugar Plum Fairy. For more information, click here. Saturdays starting November 25, kids of all ages can visit with Santa at the Downtown Boulder Visitor Information Center for FREE. Bring your list and a camera to capture priceless holiday memories. Have an afternoon snack or early supper at Samples World Bistro while chatting with Santa. Then join Santa in his throne for photos. Reservations are encouraged, please call: 303-327-9318. Jill’s Restaurant & Bistro at the St. Julien Hotel and Spa is hosting a Gingerbread Tea for the young and old, urban and rural. Traditional tea, music and delicacies including savory tea sandwiches, sweet Petite Fours and an array of different flavored scones, fill the room as Jill’s Restaurant & Bistro Executive Chef Laurent Mechin helps children – both small and big – decorate gingerbread cookies. The sweetest part—a portion of the proceeds are donated to There With Care, a non-profit organization that supports children and families facing critical illness. For reservations, please contact the St. Julien concierge at (720) 406-9696.